Will every diet work for you? The world is currently obsessed with being healthy, fit, and skinny. 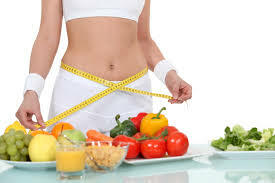 Dieting is a new trend and there an immense amount of diets to participate in. Whether it is to be dairy free, gluten free, no carbs or sugar, or even vegetarianism. 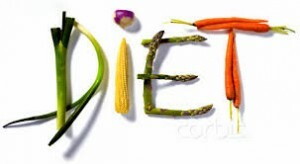 Many people try different diets to lose weight due to the fact that not every diet is effective for every individual. Each body is different and processes foods various ways. For example a piece of candy can make one person have an extreme sugar rush, but can hardly affect another person. A new study was conducted that indicates the glycemic index of food is within the eater. Researches reported on November 19th that even when people eat the same exact piece of bread, pizza, fruit, or any other food, their blood sugar fluctuates differently. A study was conducted that focused intensely on the blood sugar level of participants two hours after eating a meal. This is called the post-pradinal glucose response. They came upon this discovery after putting 800 people under a blood glucose monitor for a straight week. The members were all fed duplicate breakfasts and after eating those foods their blood glucose levels varied. The researches concluded that traits and behaviors throughout the body including BMI, amount of sleep and exercise, blood pressure and cholesterol levels participate in the response with blood glucose to food. Coauthor Eran Elinav, an immunologist at the Weismann Institute of Science in Rehovot, Israel said that differences in individuals have been noticed in studies before. Previous studies have brushed off the idea that these difference are flukes, but Elinav says they are assessing that claim. For example, after eating a piece of bread, blood sugar levels will increase 44 milligrams per hour of deciliters of blood on average.To back up the claim of individual differences, in this experiment some peoples blood sugar skyrocketed as much as 79 milligrams, or as low as 15 milligrams prior to eating the same piece of bread. A third group that consisted of 26 people were given personalized meals. Each participant was given a “good” meal and a “bad” meal. The “good” meals were the foods that decreased blood sugar levels and the “bad” meals increased blood sugar levels. It played out that a “good” diet for one person, was a “bad” diet for another, vice versa. If you want to lose weight you have to remember that not every diet will work for you. Each individuals response to food will vary depending on height, weight, and “microbiome”, which is the collection of bacteria that is left in the digestive system. Research has shown that the microbiome plays a significant part in the risk of obesity and diabetes in a person. The genetic makeup of each person is different and foods will effect each individual in various ways. This entry was posted in Uncategorized on October 20, 2016 by Jacqueline Brocco. Therefore, I remain skeptical about diets. If you would like to learn more about how diets can affect your health, I found an article that goes into further detail than I did.